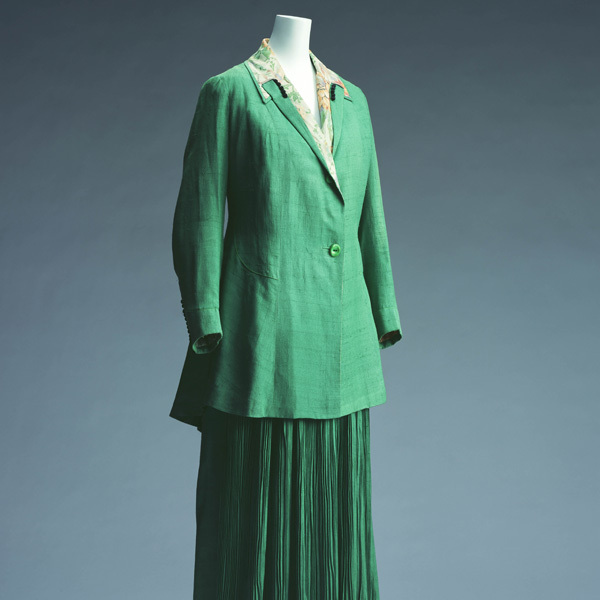 Green silk satin one-piece dress; thin pleats all over; glass beads at armholes and side seams. 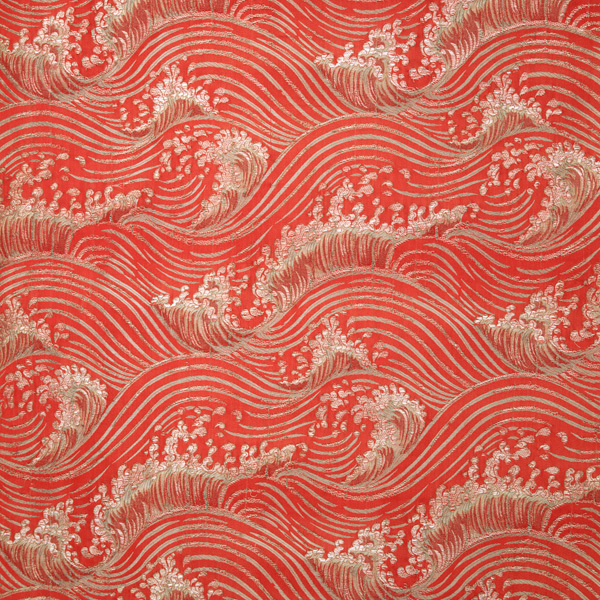 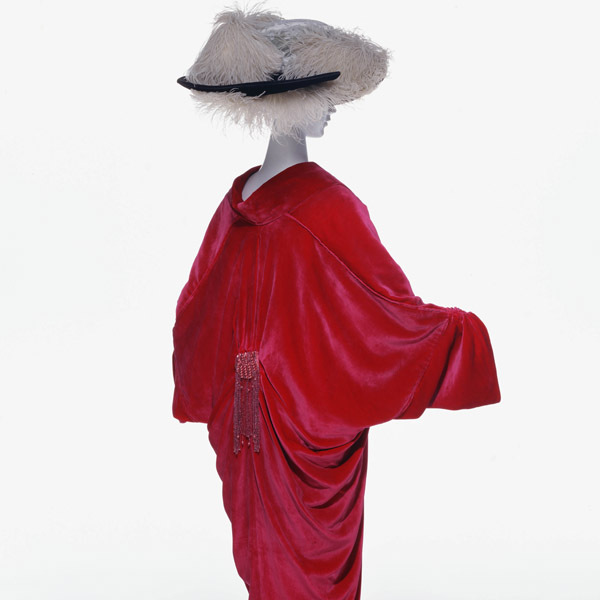 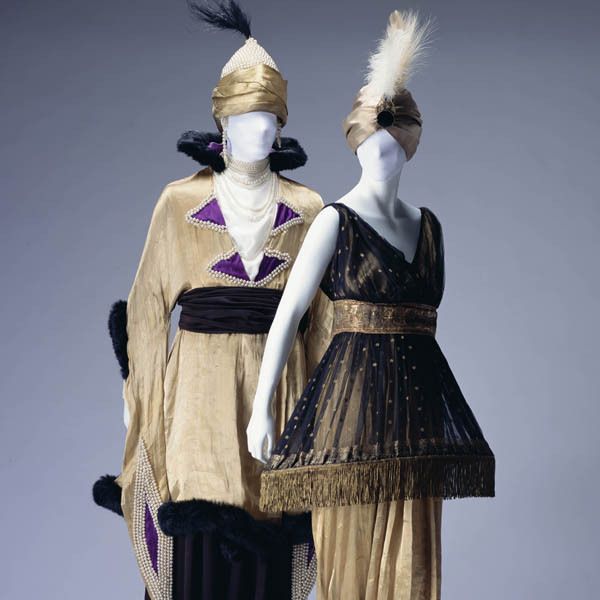 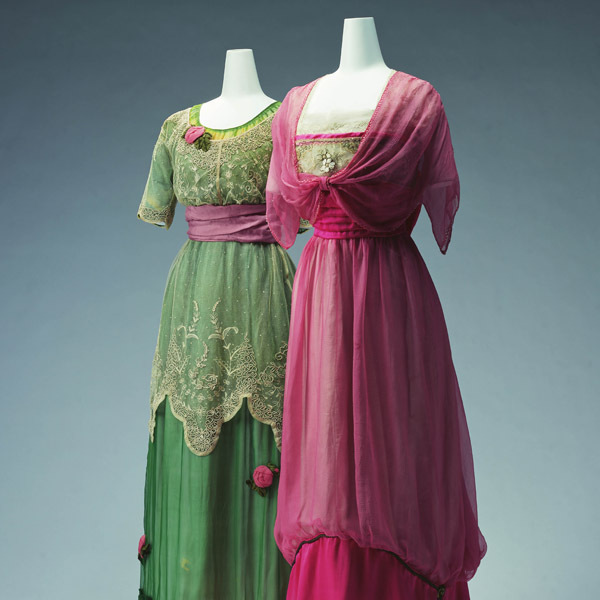 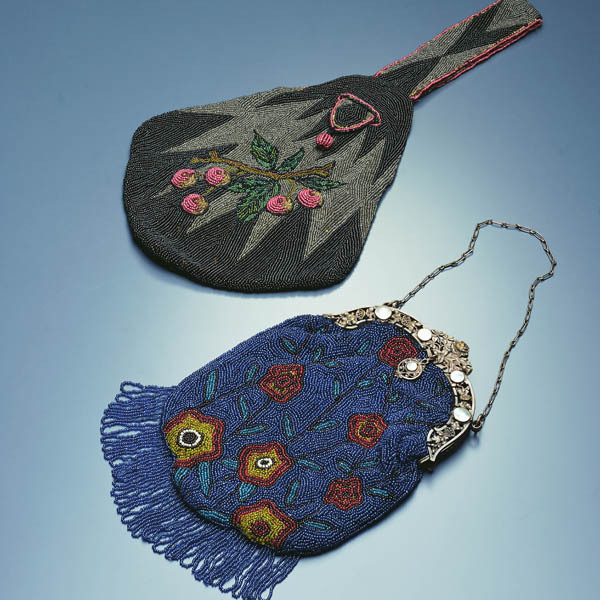 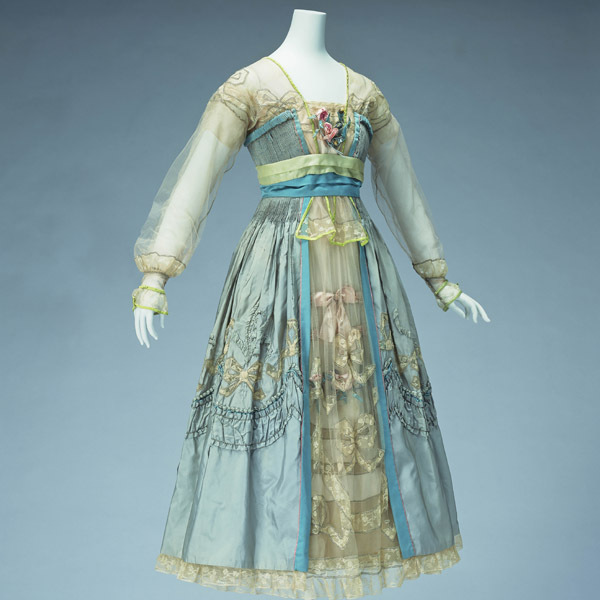 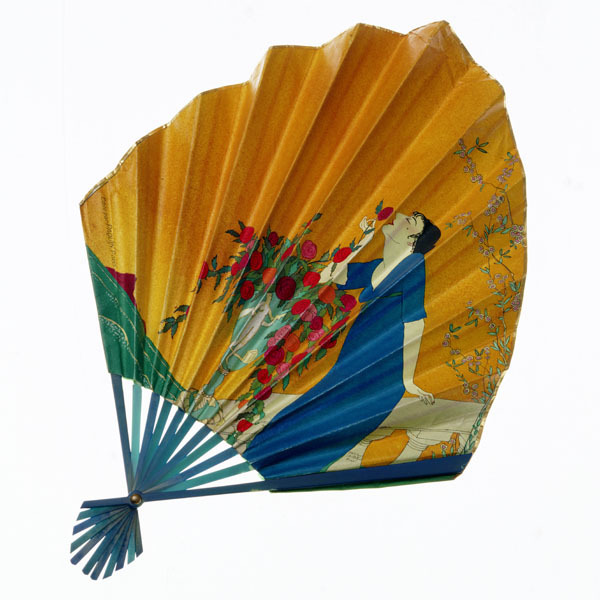 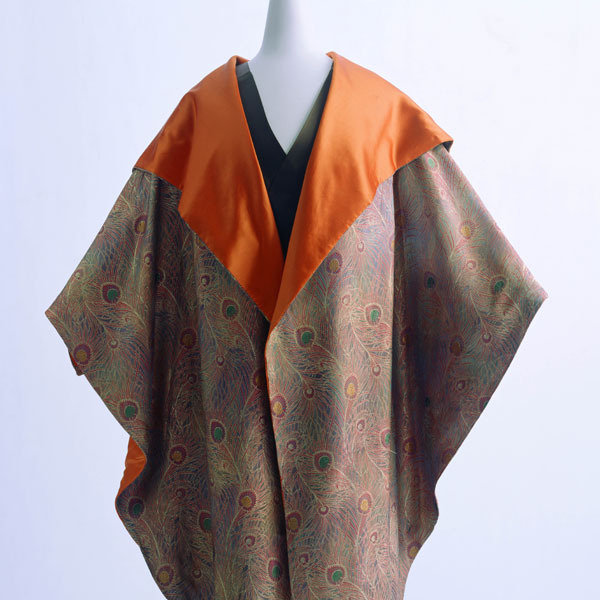 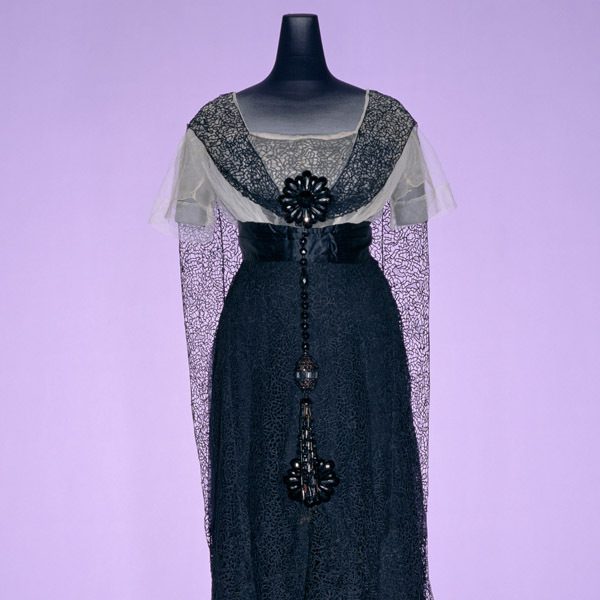 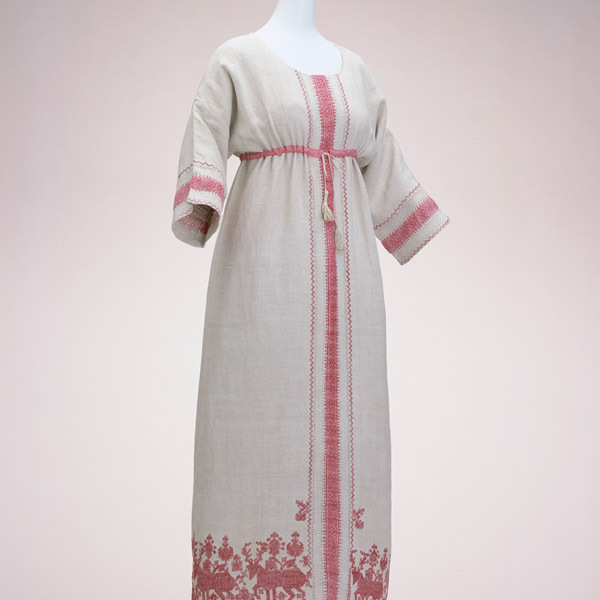 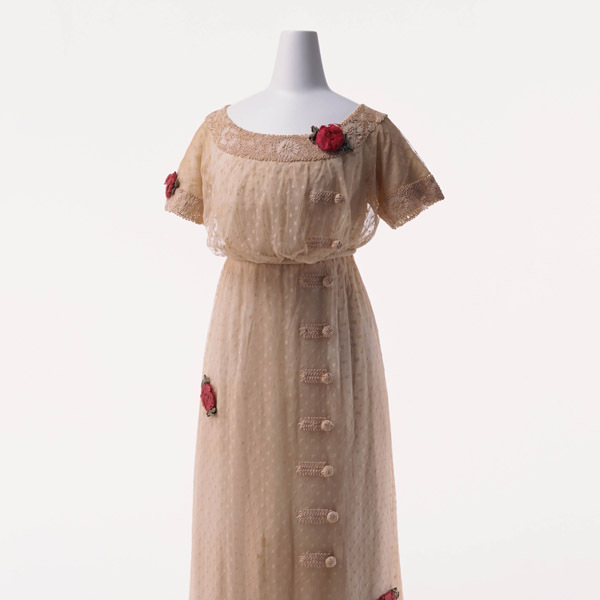 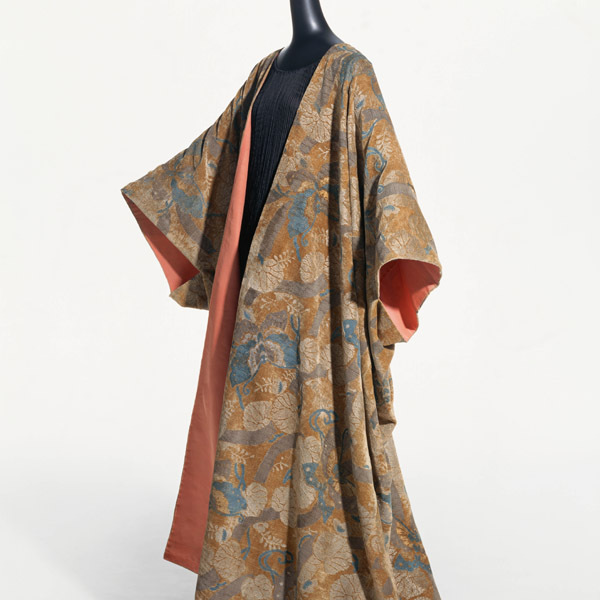 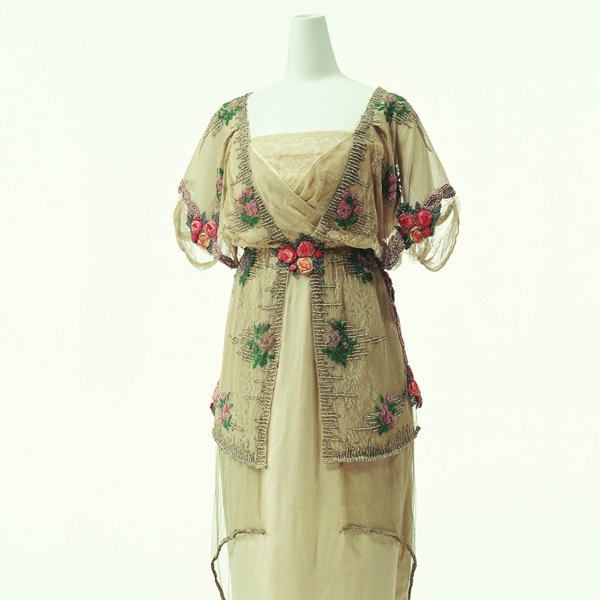 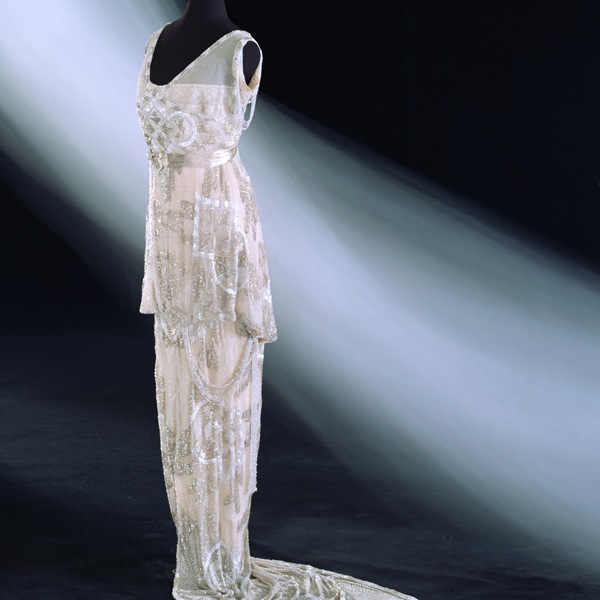 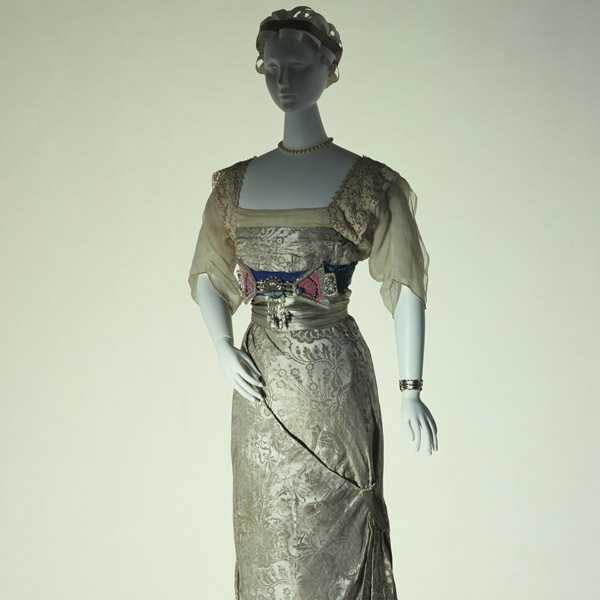 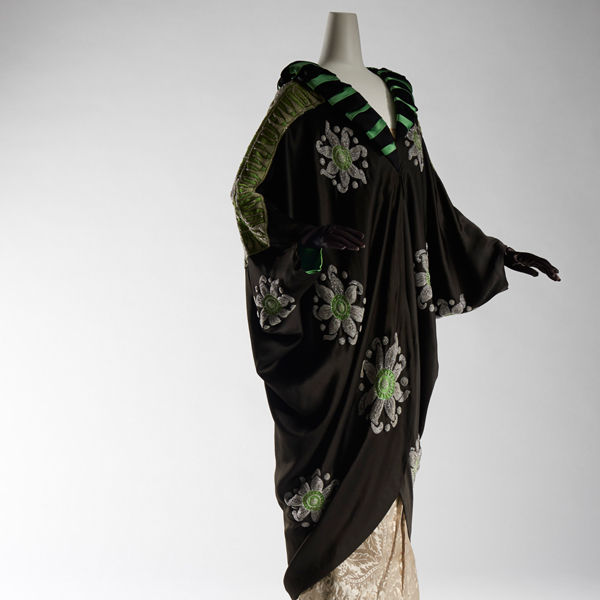 The "Delphos" series, which originated in around 1907, was the signature work of Mariano Fortuny, who used Japanese or Chinese silk fabrics to make ancient Greek-style dresses. 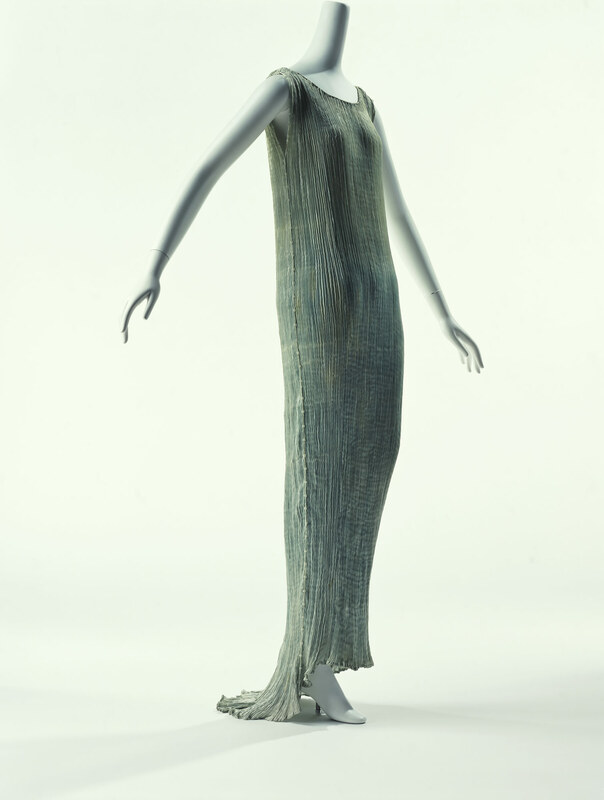 Pleats flow down from the shoulders to cover the body naturally. 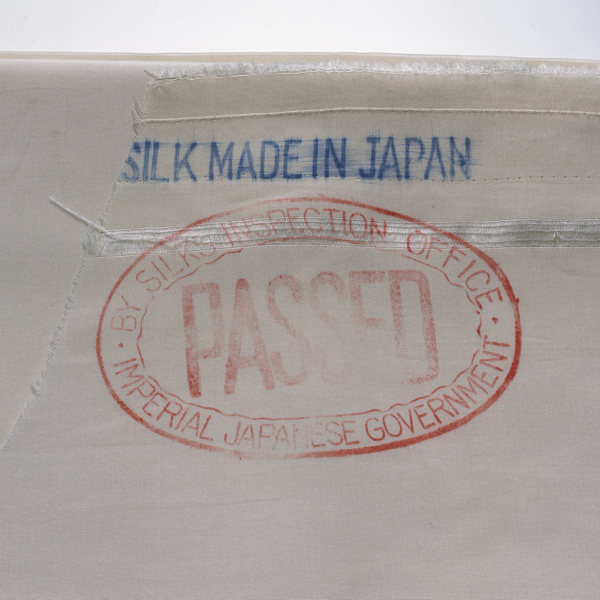 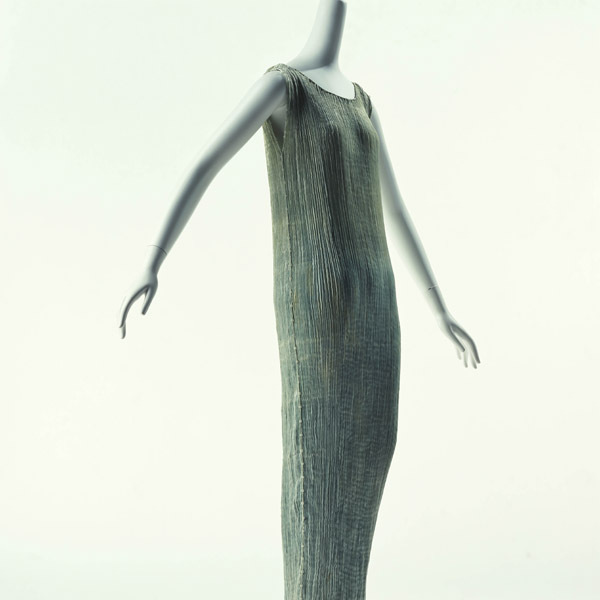 This fresh form completely overturned the concept of female clothing. 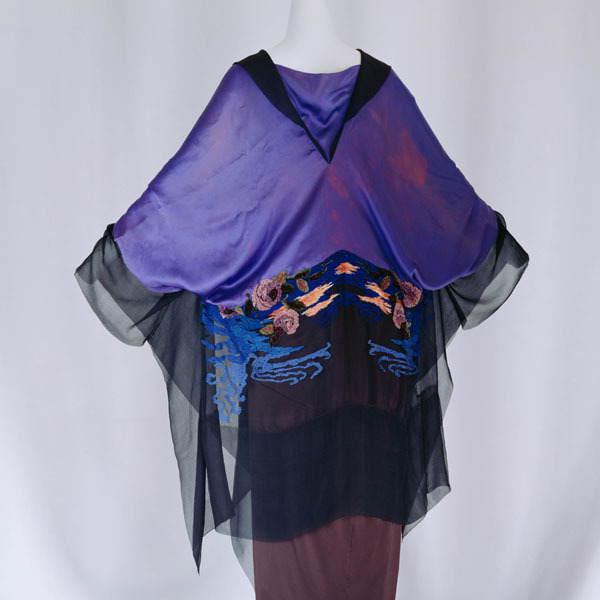 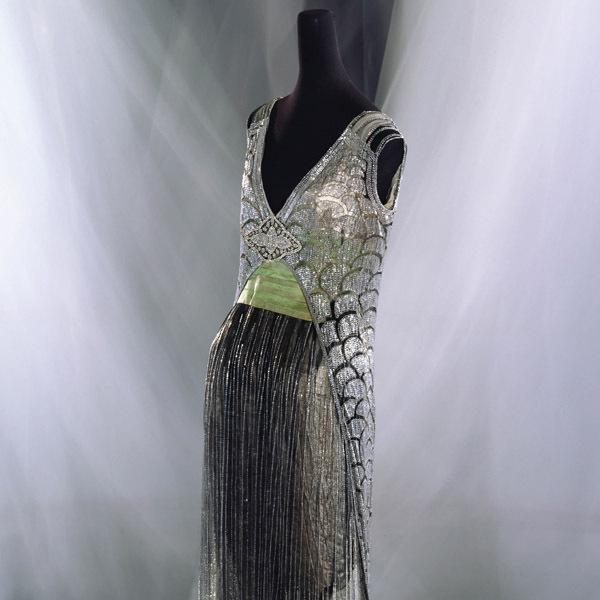 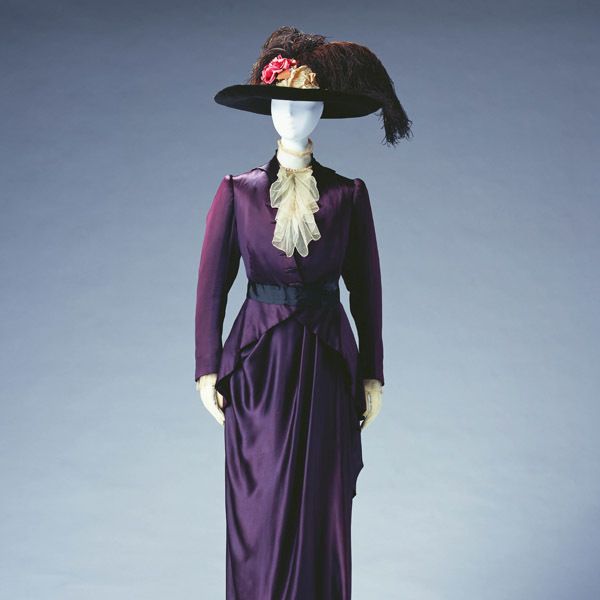 Structural features of the dress, such as the pleats covering the whole dress and the glass beads used as weights, simultaneously serve as decorations. 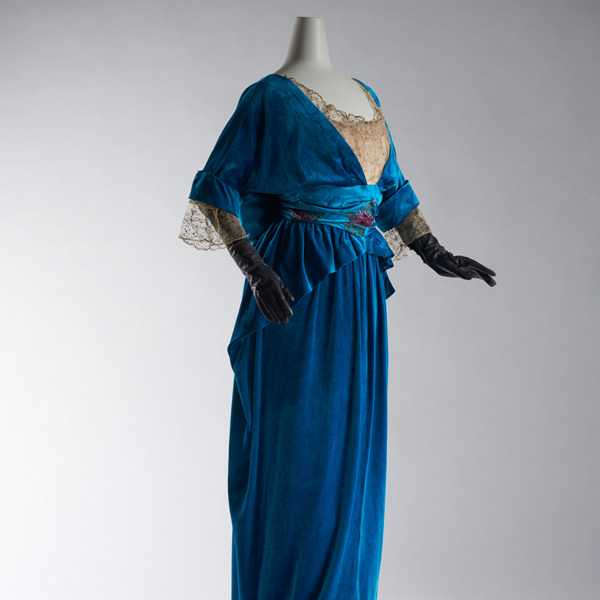 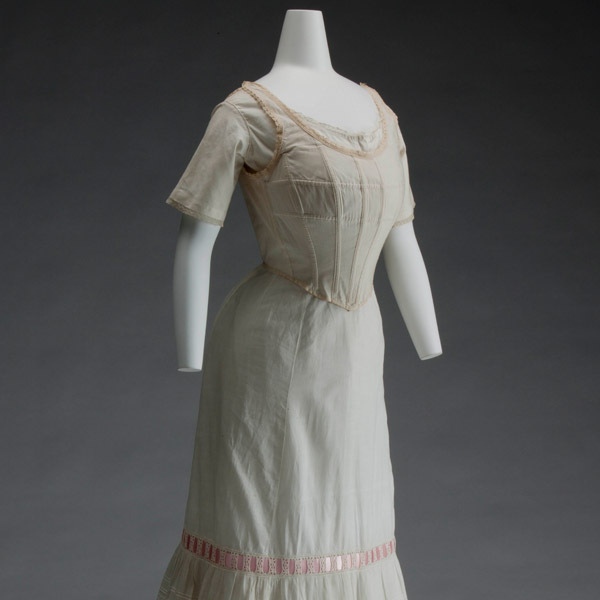 Because the "Delphos" dresses accentuate the natural curves of the body, not the artificial forms made by corsets, initially they were used as luxury indoor gowns. 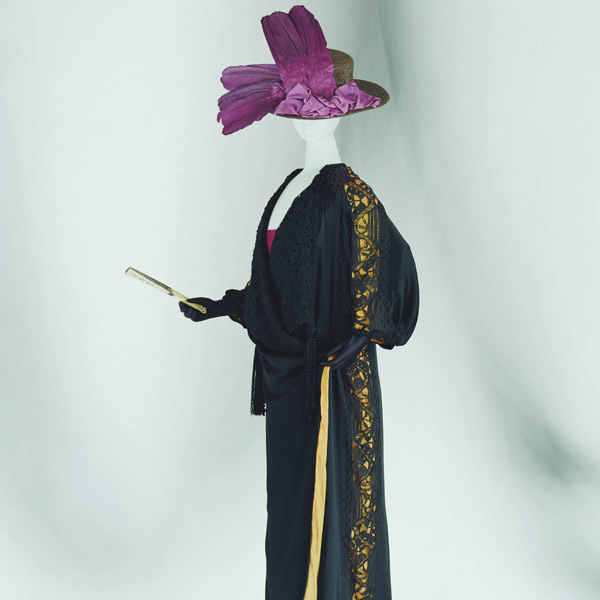 They are very long, and some of them even have a train.